LTO (Linear Tape-Open) Comparison Charts. Looking to implement a tape backup system? Time for an upgrade to your existing tape archive solution? Sometimes it’s easier just to get a visual of what each one can do. * WORM: Write Once Read Many – Protection so data cannot not be modified once written to tape, but still offers unlimited reading of data. Sorry for the delayed response, Henry. 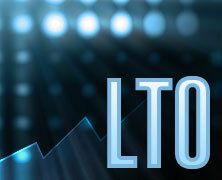 You are correct LTO6 is LTO6 and can not reach the LTO7 performance. Would be useful to know the MINIMUM transfer rate, ie. the rate below which they will shoe-shine. You are correct. That would be helpful. The manufacturer’s seem hesitant to put that data out there, but I will look deeper.